Ignition part #3301-DFI, a new optional system. We are now in the testing phase of a new ignition system, The “DFI”. The title stands for “Dual Fixed Ignition”. 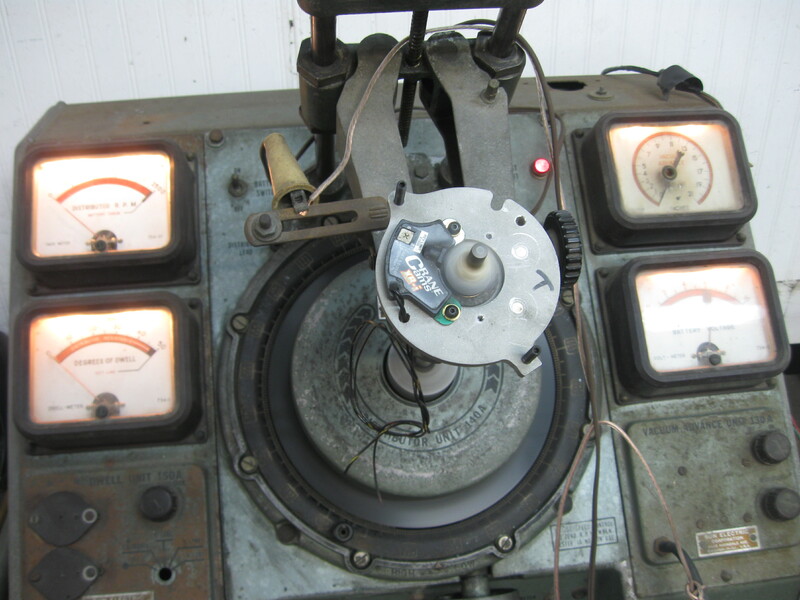 Above, the system installed on a running engine gathering data. This project is now about 2 years old, as you can read in the related link below. With some more testing, this will likely become the premium ignition system in 2016. We will still offer our other ignitions – E/P and E/P-X Ignition systems, (3301E/P and E/P-X) – but there are several reason why I have developed this new system. At it’s core, the DFI system has 2 Crane units, and has no advance. The primary is set for the full advance, the second Crane is bolted into the housing with retarded timing, which aids in starting. I actually had six base plates CNC machines before we settled on the amount of timing offset we have on the first production plates. 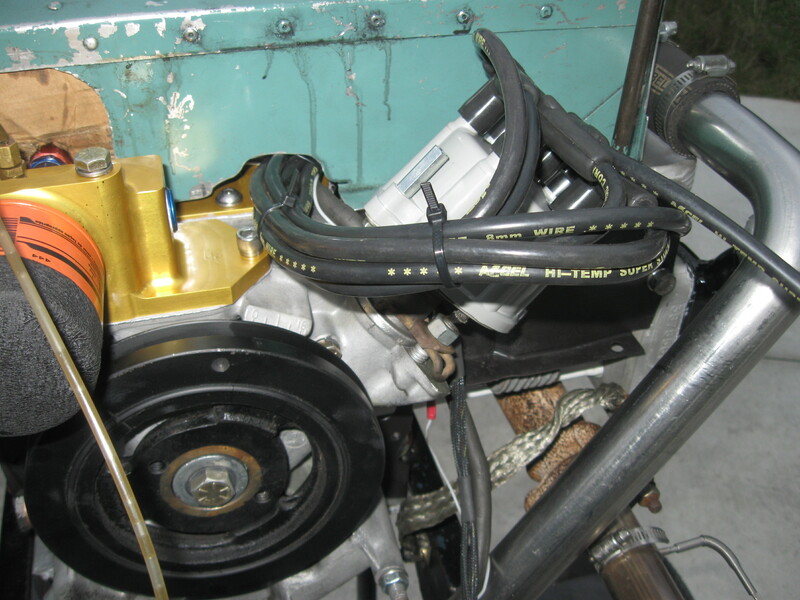 It uses a Ford, HEI style cap instead of the Corvairs 1960’s distributor terminals; The timing on this unit can be set at idle, there is no requirement to check it at full static rpm; The spark is more stable because it is tripped with a star wheel rather than a point cam; The spark is not affected by shaft wear; proper operation and care of the system doesn’t require the builder to understand and follow directions on working with points; The system will be the basis of other systems for turbo engines and very high altitude applications. It is more expensive; In theory, the diversity of an E/P system makes it more resistant to failure from something like an overheat or voltage spike (But in the last 10 years we have never had a single Crane unit fail in operation, only issues were where builders pinching wires under the cap or wiring it backwards) ; It is new, and although we are testing it, it will be a long time before it has the track record of our E/P systems. Above, a look at the main shaft with the star wheel in place. The wheel was laser cut for accuracy. 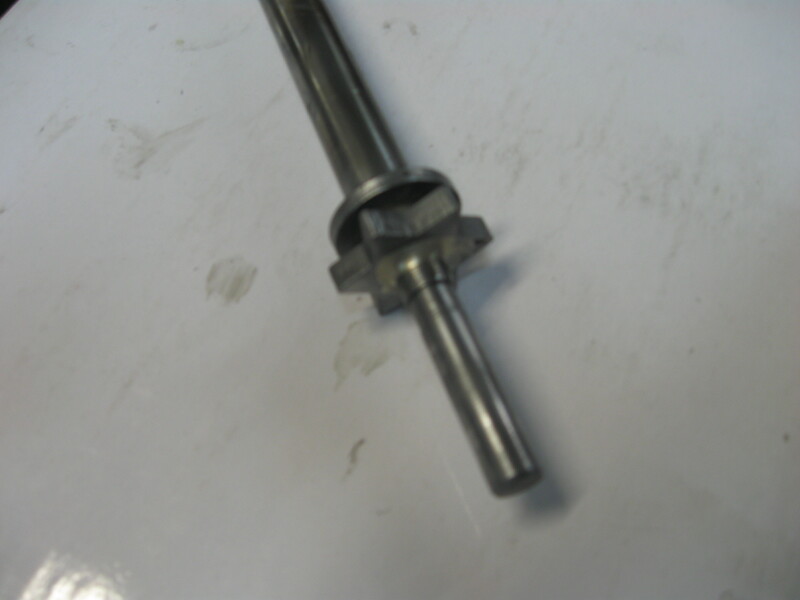 It was made for us by Dan Weseman, who in the course of producing all the parts for their Panther kits, has become even more of an expert in many different types of aerospace grade production, like having parts laser cut. Above, a look at where the design was a year ago. You can read this story: Ignition system, experimental “E/E-T” for a look at how we make parts, and what the logic was. This is a good photo of the Ford HEI cap used on the DFI. 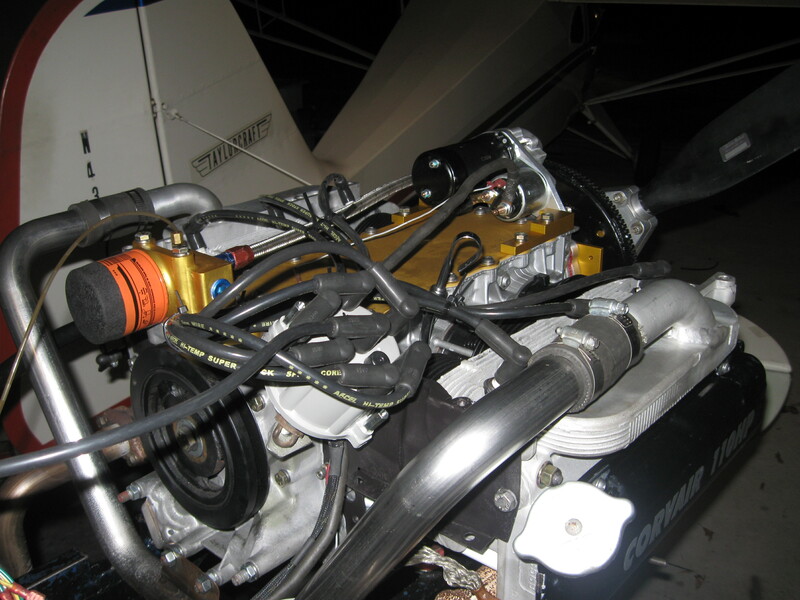 The engine can actually be started on either ignition, as long as it is being cranked by a 2400-L Starter. Any normal starter will start it on the back up/starting retarded ignition; When being run on the back up, the engine looses a certain amount of power, but this loss is only half of the loss of running on 5 cylinders, (and any application we promote will fly and climb on 5 cylinders); The retard on the back up is enough to greatly suppress detonation if a flyer found himself with a detonating engine; The DFI fits and operated with all our other parts and systems, including the recommended ignition coils. As a side note, the testing also showed that it is a complete fallacy that a Corvair will make it’s full power potential with only 25 degrees of advance. I already knew this from years of Dyno testing and flying planes, but we captured this test on film. 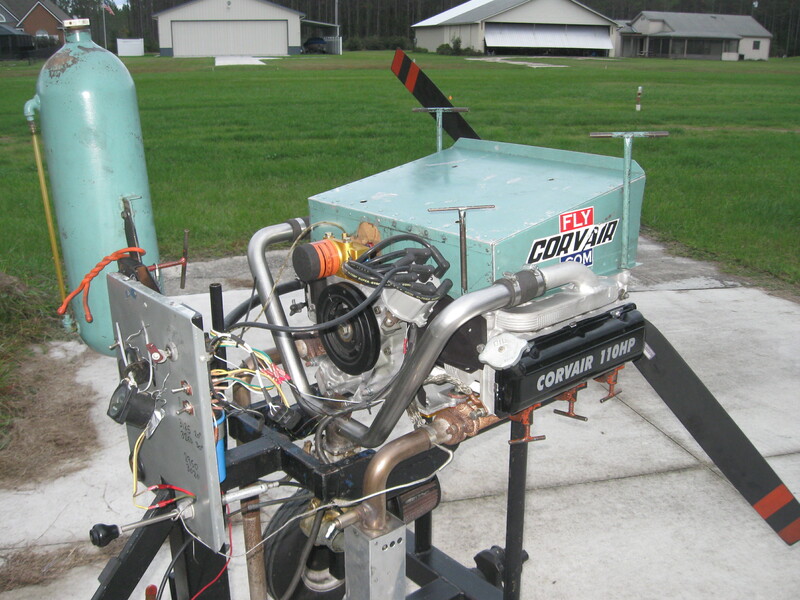 At Oshkosh 2015, an “expert” who has never owned a flying Corvair told people that 25 degrees was all the engine needed, and claimed he learned this on a dyno, which seems unlikely, as I just tested this and showed the engine to loose more than 100 rpm just going from 30 degrees of advance to 25. It is a fee world, and people can listen to whomever they like, but if you want to be successful at building and flying planes, perhaps it is best to restrict one’s sources of information to people who are aircraft mechanics, pilots and have own flying planes and tested them. Following a flight testing, we will have more information on our products page. 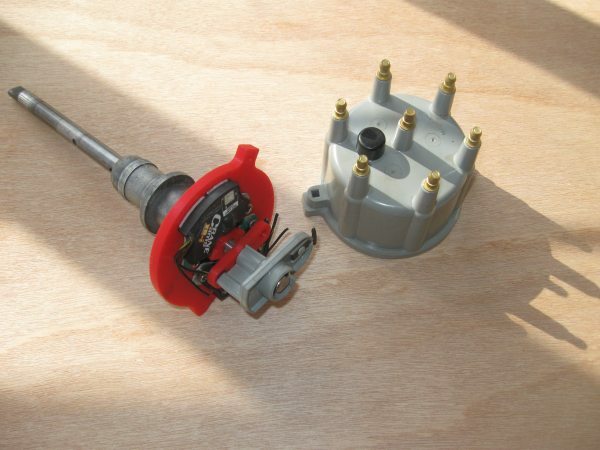 6 Responses to Ignition part #3301-DFI, a new optional system. I take it that the engine is to be started on the secondary ignition, then the primary is to be switched on when the engine starts. I take it that when the plane is idling or taxiing both ignitions should be left on. Since one has full advance and one has retard, you wouldn’t want both on at the same time. The one with retard allows for easier starting, so ideally it is used for that. Then either one could be used for taxing. Again either one coul be used for flight, but the one with full advance would be ideal for normal takeoff and cruise. The one with retard could be used to combat suspected detonation, or as general back up, you would just be giving up a percentage of potentially available power. Reread the last two paragraphs of the story and the links above regarding timing elsewhere on this site. Oops. I forgot that there is a coil switcher involved. Otherwise, the retarded spark would just act almost like a “lost spark” system. The second firing of the spark plug just wouldn’t do anything to aid in combustion, would it? The second spark would not aid in combustion since it’s too late to the party. When developing previous ignition systems that could be fired simultaneously, WW found that there was no difference in power, etc with both operating at the same time. While he tested operating on both sides at once, for fifty hours or so, he does NOT reccommend using both at once for at least two reasons: 1) Since there is no difference in output, you would not know if one failed until both had quit working. and 2) The manufacturer of the coil switcher device specifically warns against using it with two coils at the same time long term, as it can cause damage. The redundancy in his system is in having two systems to switch between, not in having two “always on”, as in magnetos. The higher voltage and different spark gap make sure you get full output (with E/P system), even with just one system operating at a time, whereas the lower voltage and smaller gap in most magneto systems show a drop in rpm when one side drops out or is turned off. Caution: I have a timing light… and I’m not afraid to use it! I think that I’ll stay with the E/P/X. hmmm, Impulse coupling anyone? Clever idea, and at a much higher voltage than a magneto. Built in detonation suppression on the retarded ignition. Any ideas on RPM difference from full advance, retarded timing, and 5 cylinders?